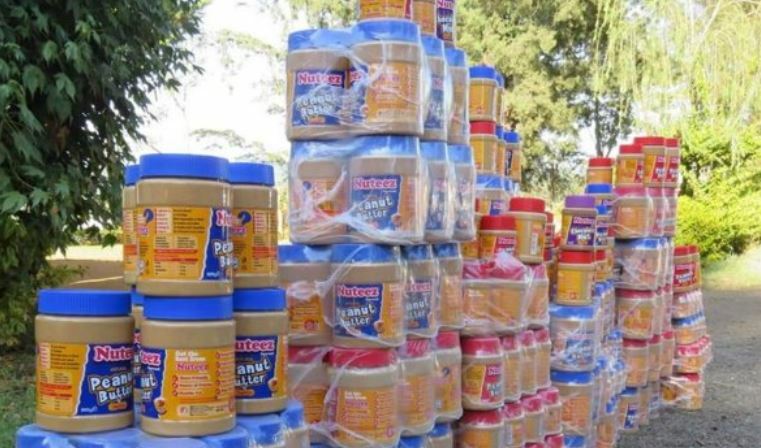 The government has ordered the removal of peanut butter brand ‘Nuteez’ from the market after tests confirmed a contaminated batch in Nandi County. An analysis in the Government laboratory found the presence of aflatoxin, a poisonous substance, in the peanut butter making it unfit for human consumption. According to government chemist Francis Maina, the peanut butter was found to be containing 24.08ppb aflatoxin, 14.08ppb more than the required limit. “The peanut butter exceeds the maximum required limit for total aflatoxins (10ppb) and therefore unfit for human consumption,” he notified the Ministry of Interior in a letter dated January 29, 2019. In response, the Ministry of Health on Thursday asked all County Public Health Officers to ensure the ‘Nuteez’ peanut butter is removed from the market and submitted to the government laboratory for analysis. “The referred batch number of the peanut should be removed from the market and all other batches of the same product sampled and submitted to the laboratory for analysis to ensure safety,” reads part of the circular from Director of Public Health Kepha M. Ombacho. Jetlak Foods, who produce Nuteez, however issued a statement saying that they had not received any letter or correspondence from the Interior Ministry. They also denied knowledge of any contamination of their products. “As Jetlak Foods Limied we are not in receipt of any letter or correspondence thereof from the Ministry of Interior and we are thus in the process if investigating the purported claim,” said the company in a statement issued Thursday.